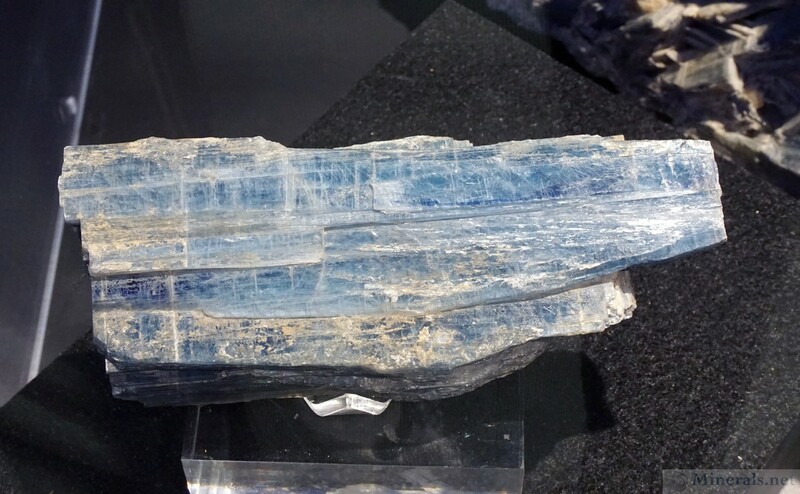 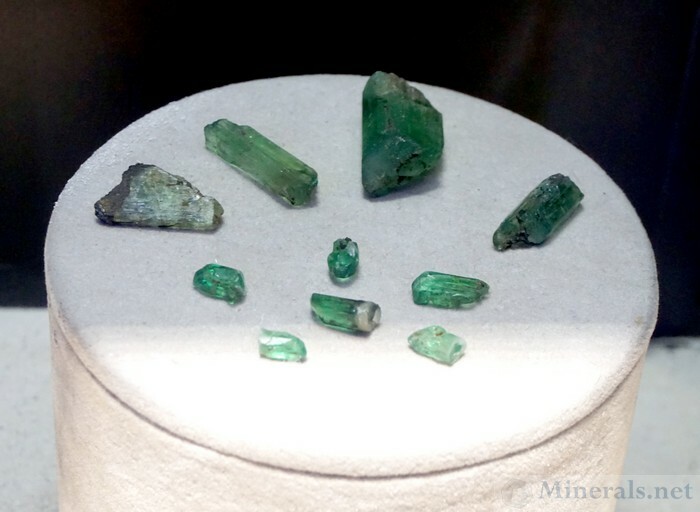 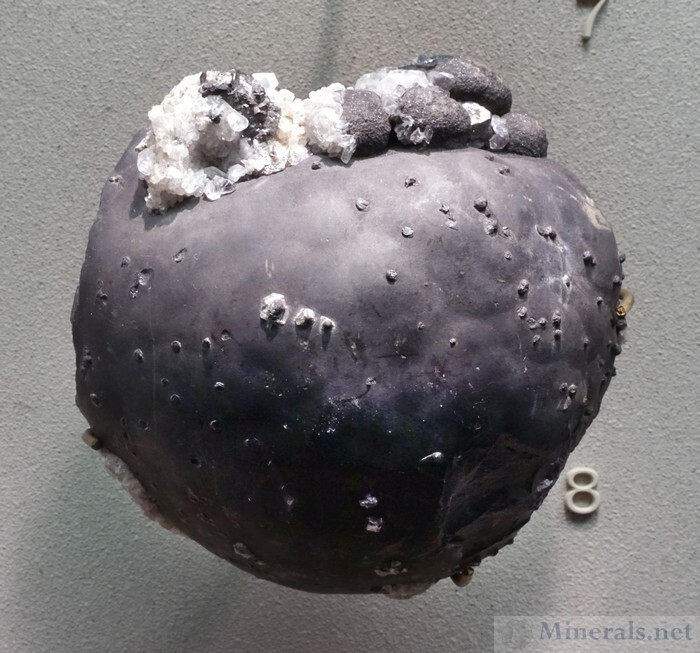 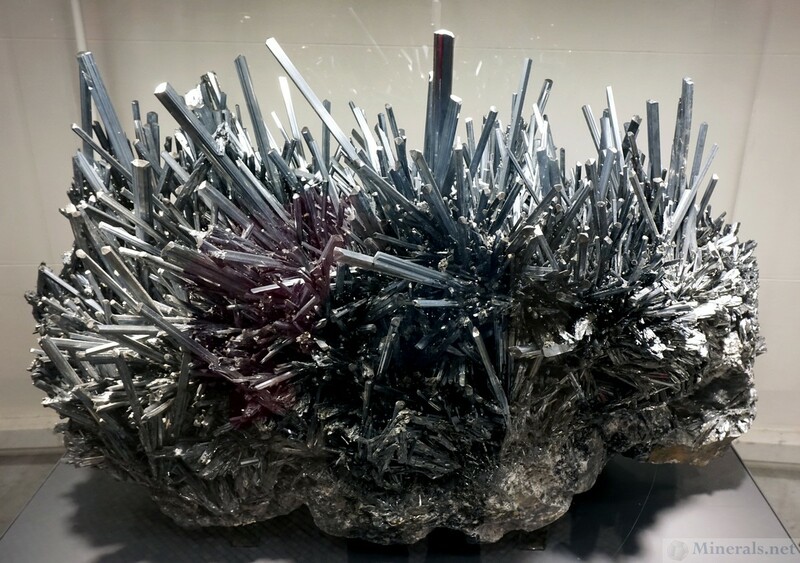 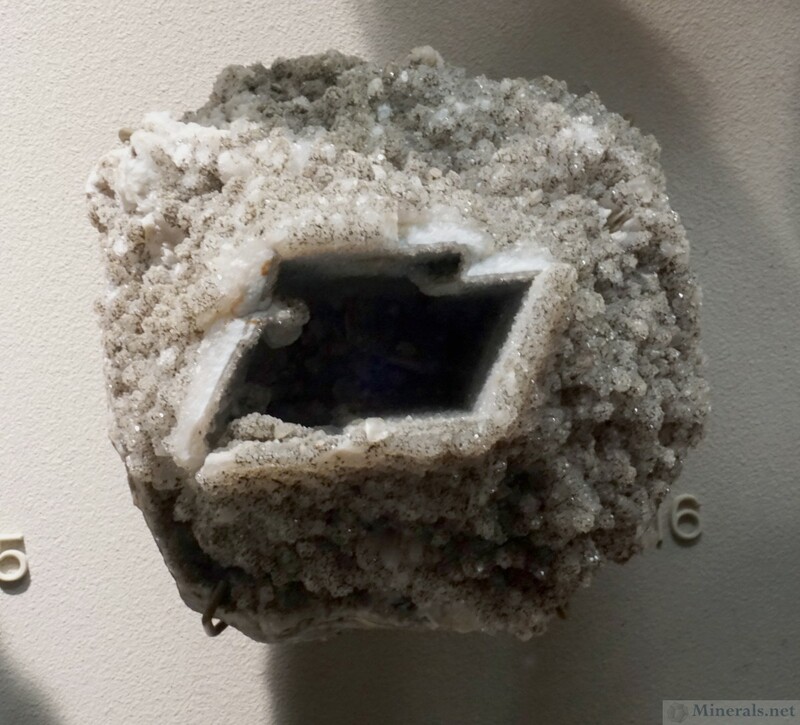 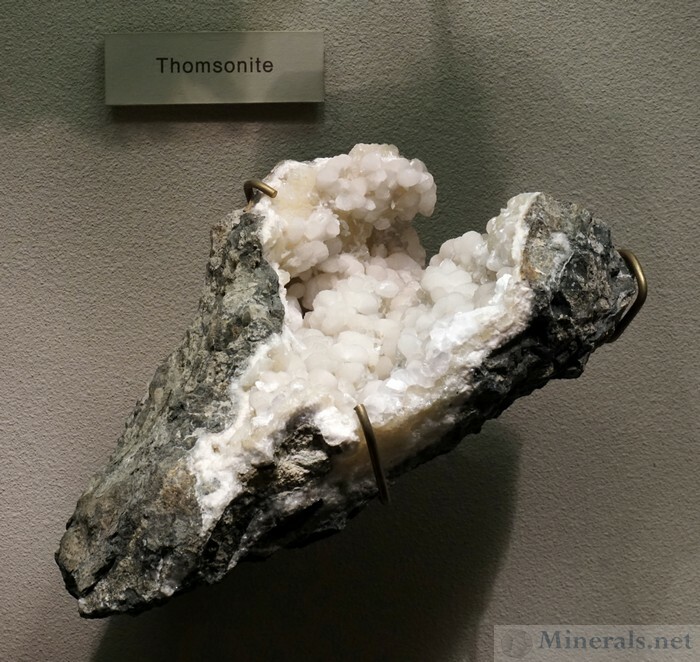 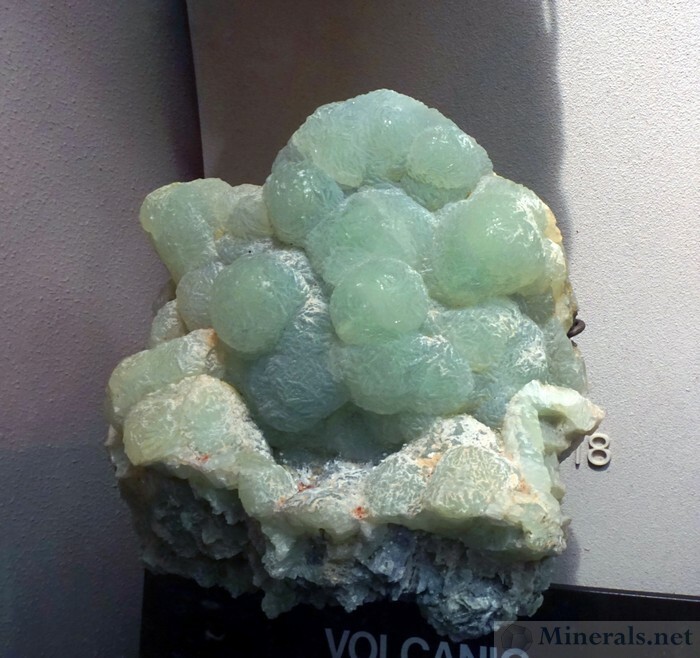 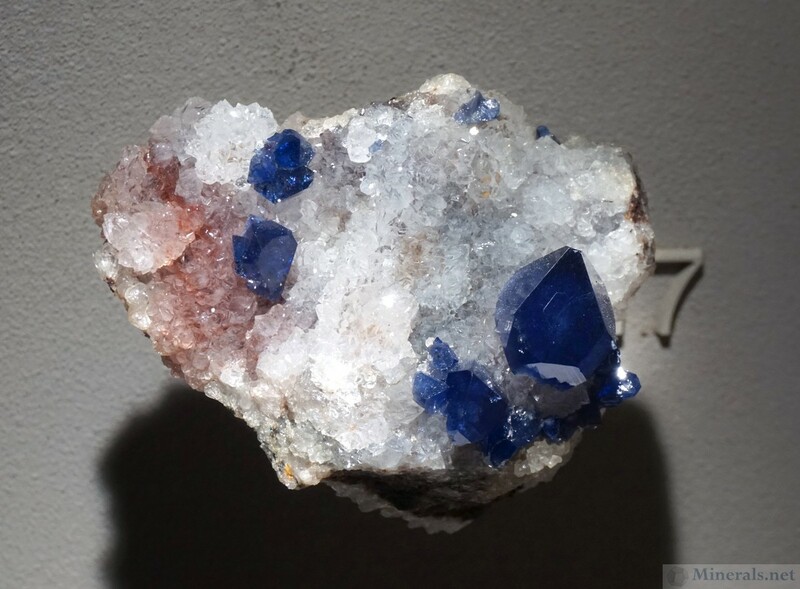 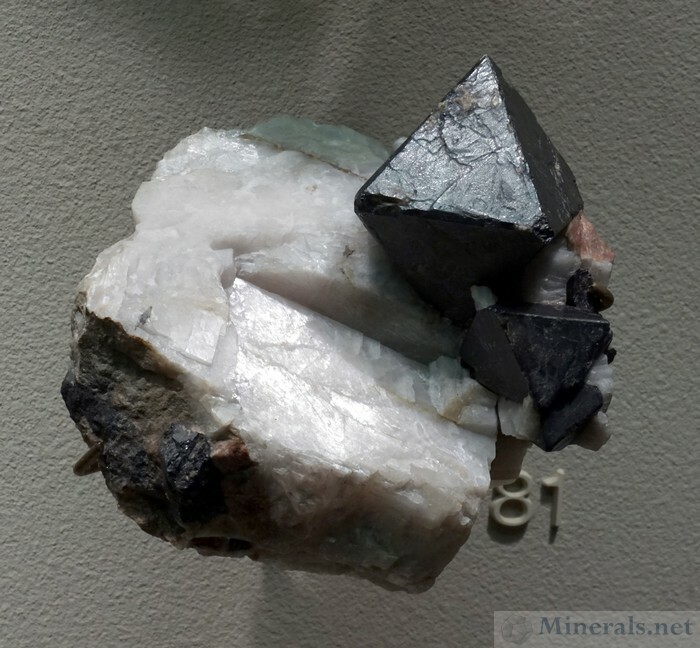 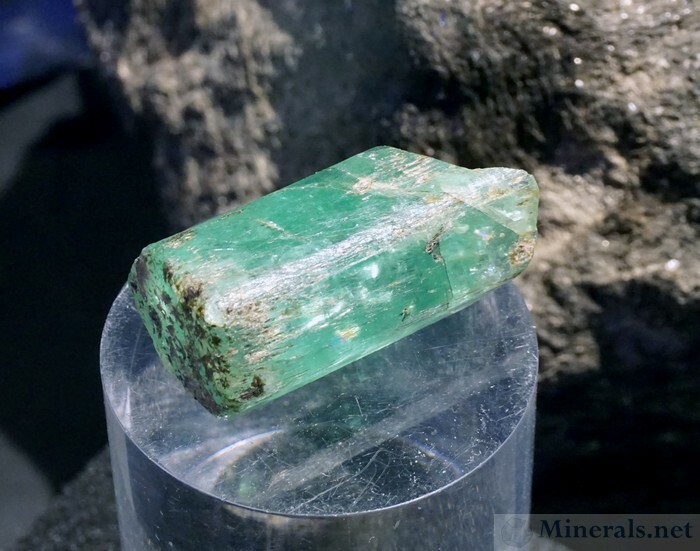 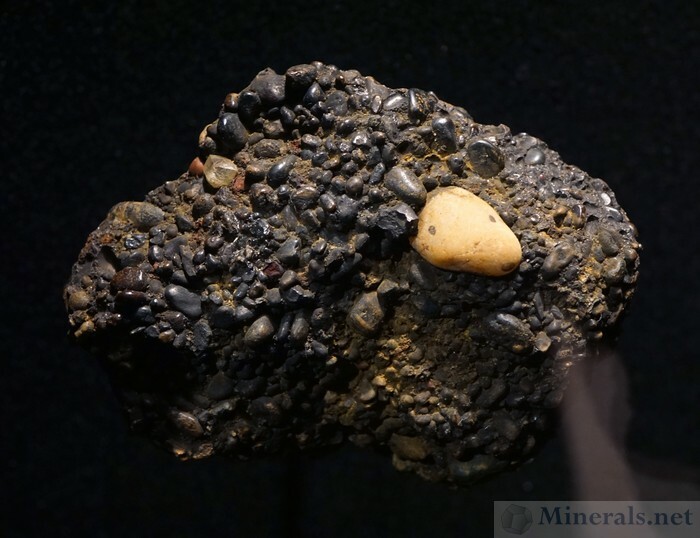 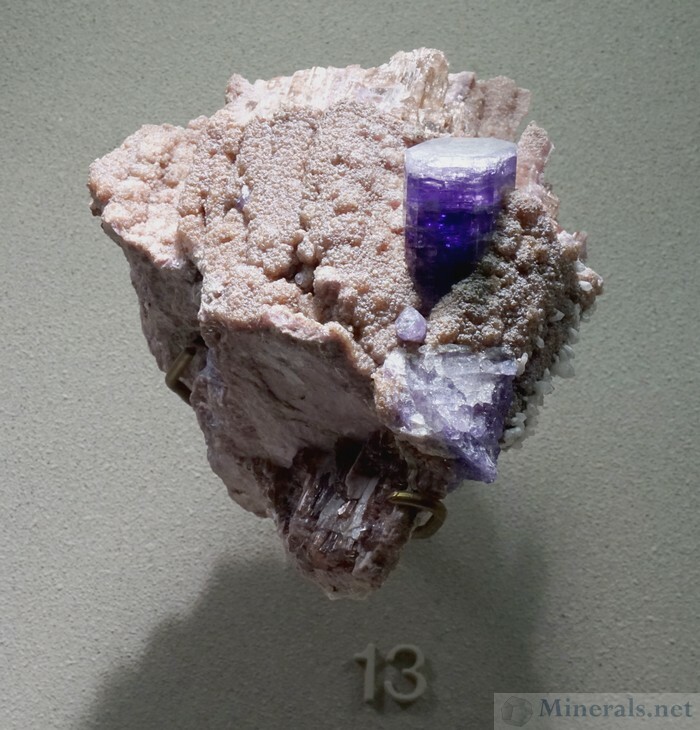 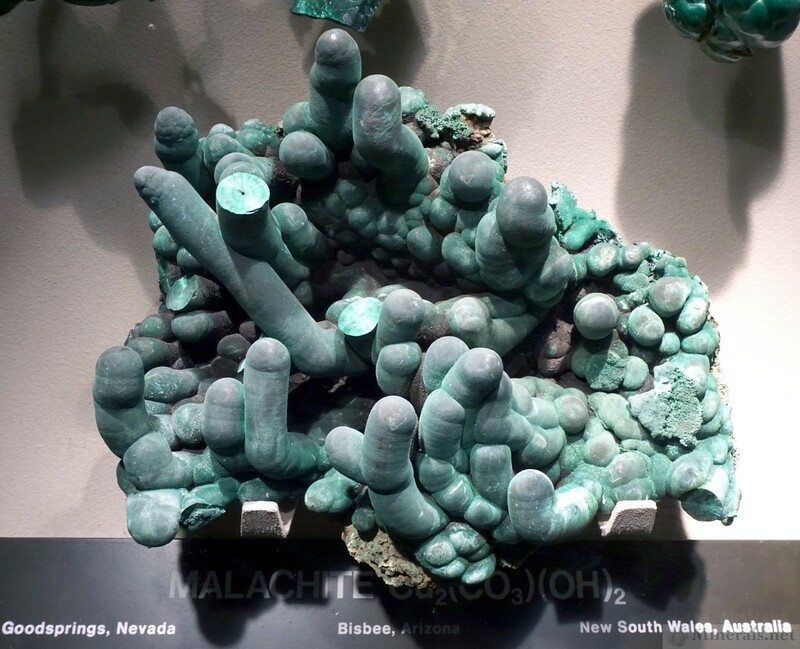 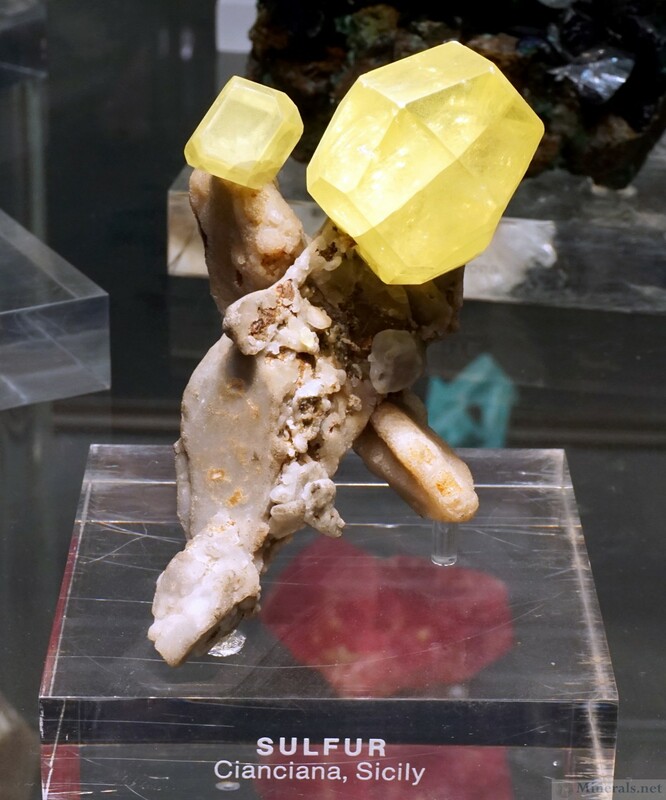 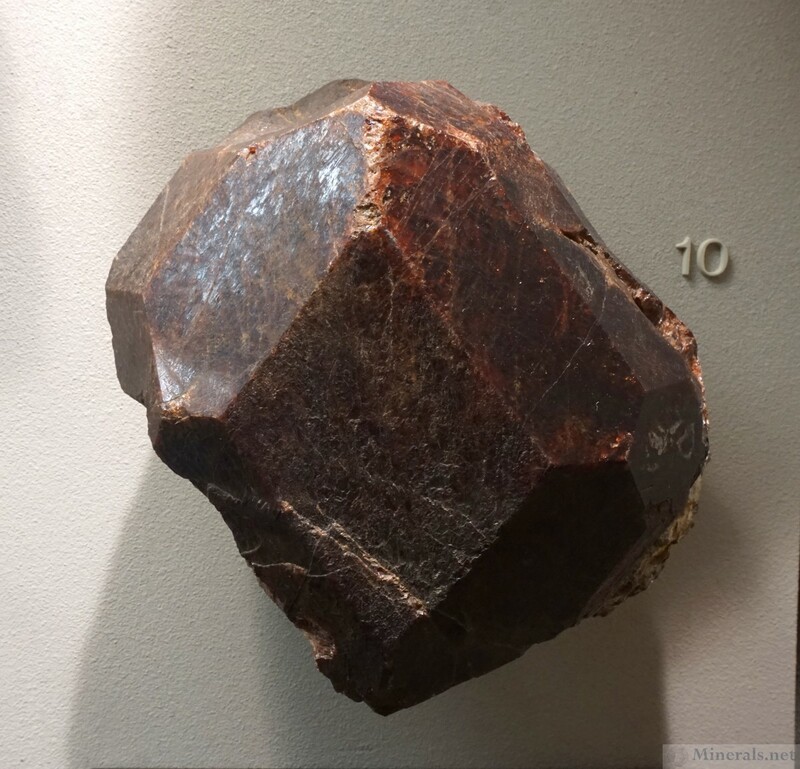 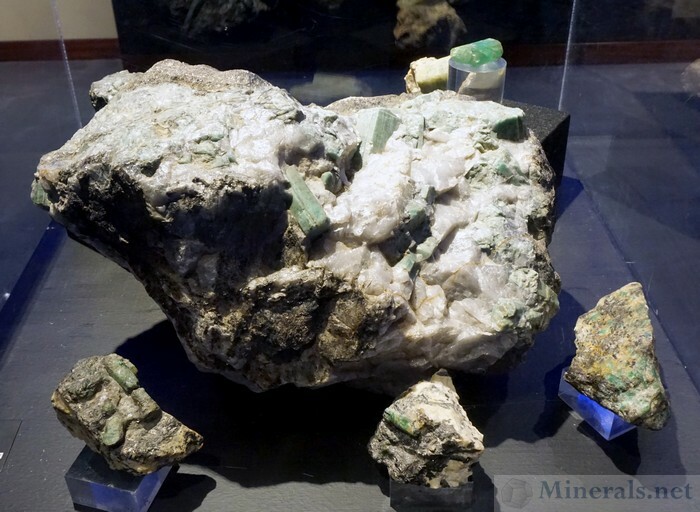 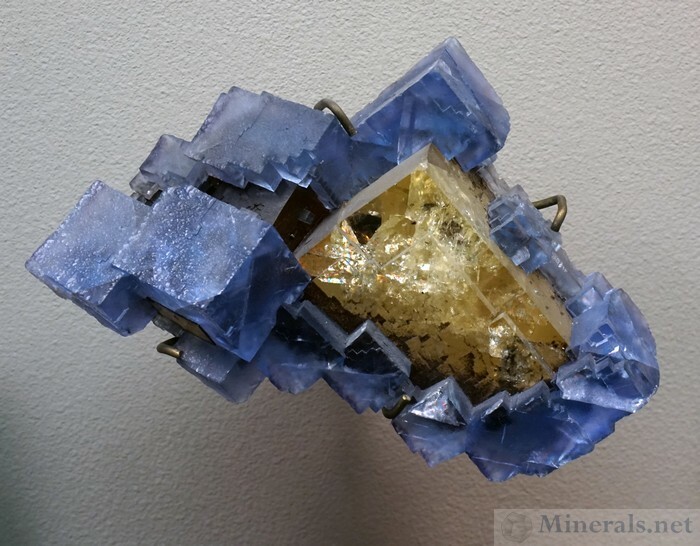 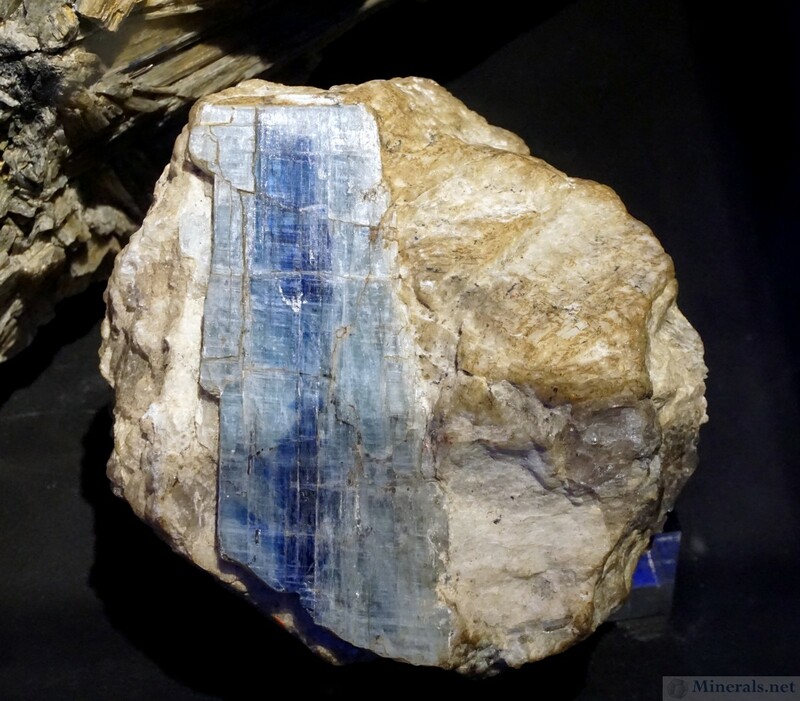 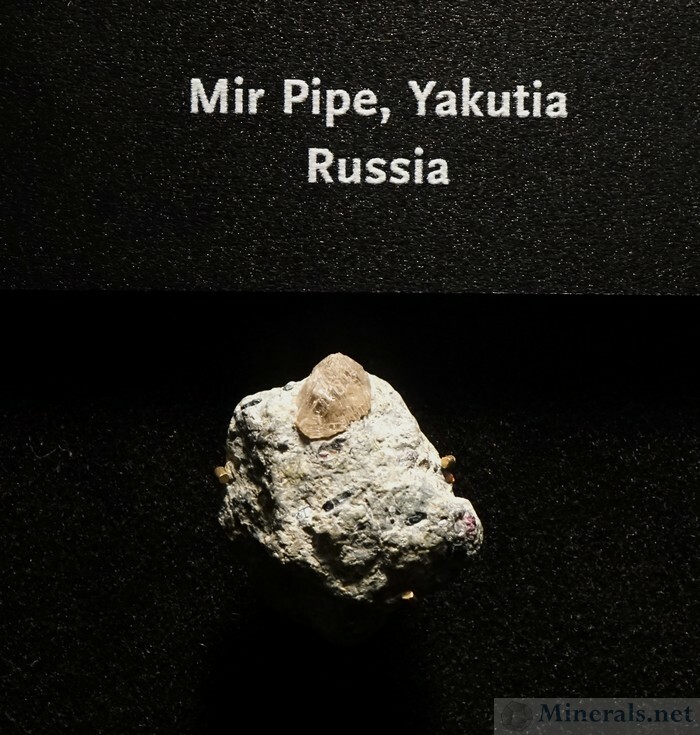 This post is a continuation of the previous one, showcasing some of the outstanding minerals in the collection of the American Museum of Natural History in New York. 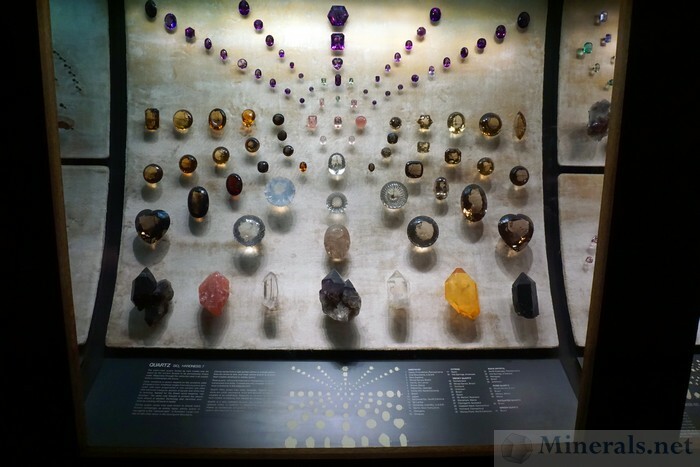 The museum contains thousands of exceptional minerals on display, and it was difficult to choose which ones should be added to these posts, as I took many good photos of many good minerals. 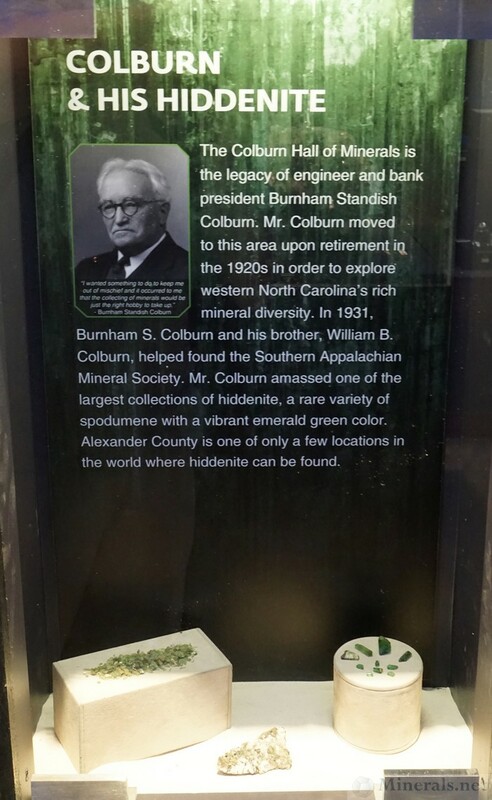 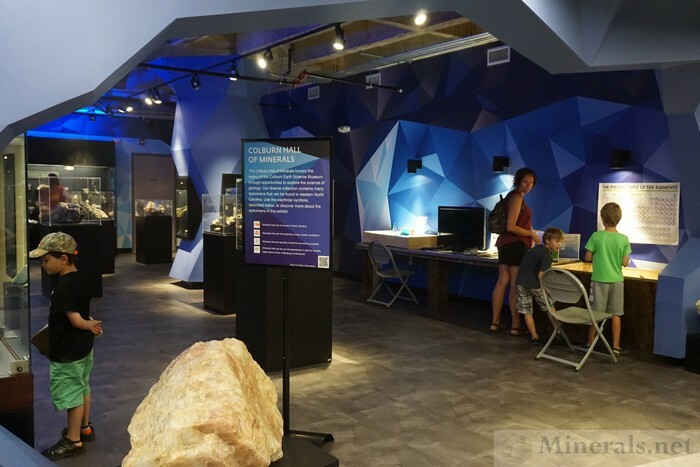 I'll save more for my next visit when the museum reopens the mineral exhibit in 2020. 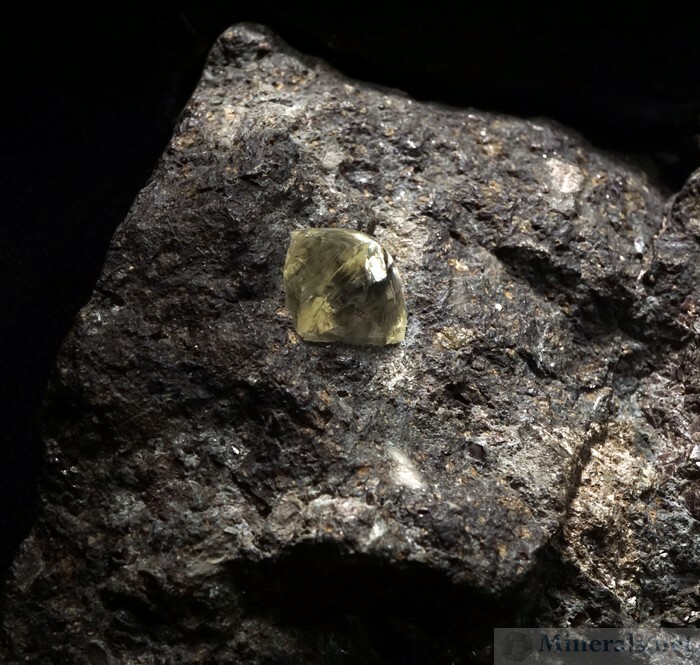 In the meantime, enjoy these current photos for now. 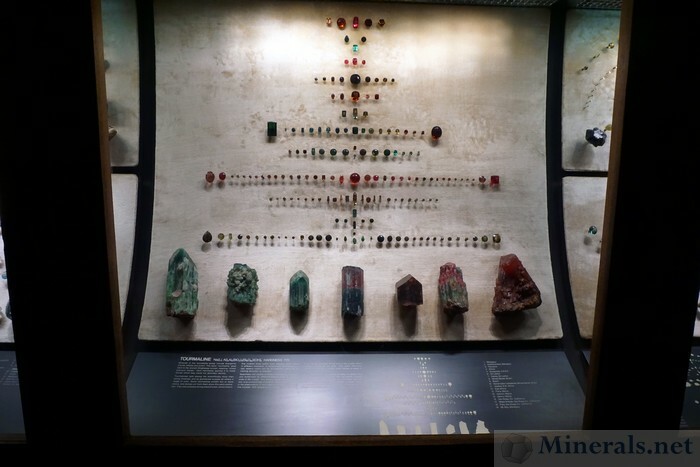 The Morgan Memorial Hall of Gems in the American Museum of Natural History is a room within the museum mineral hall filled with both natural and cut gemstones. 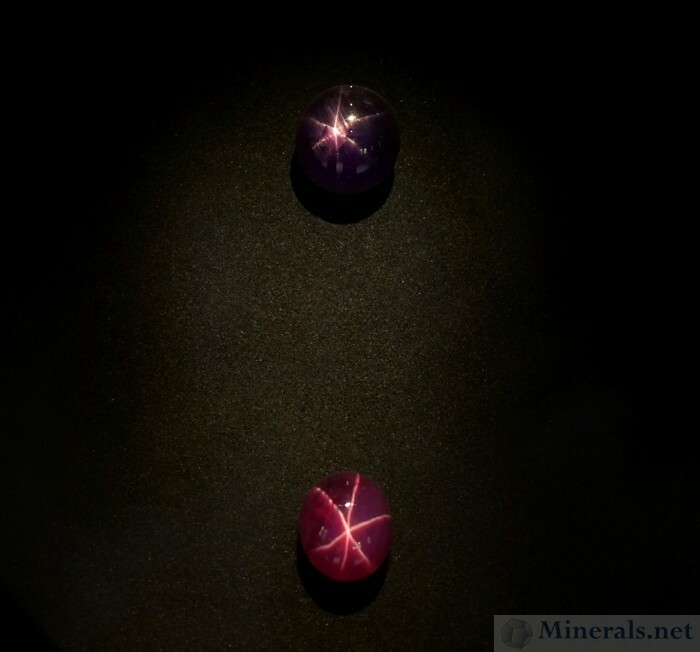 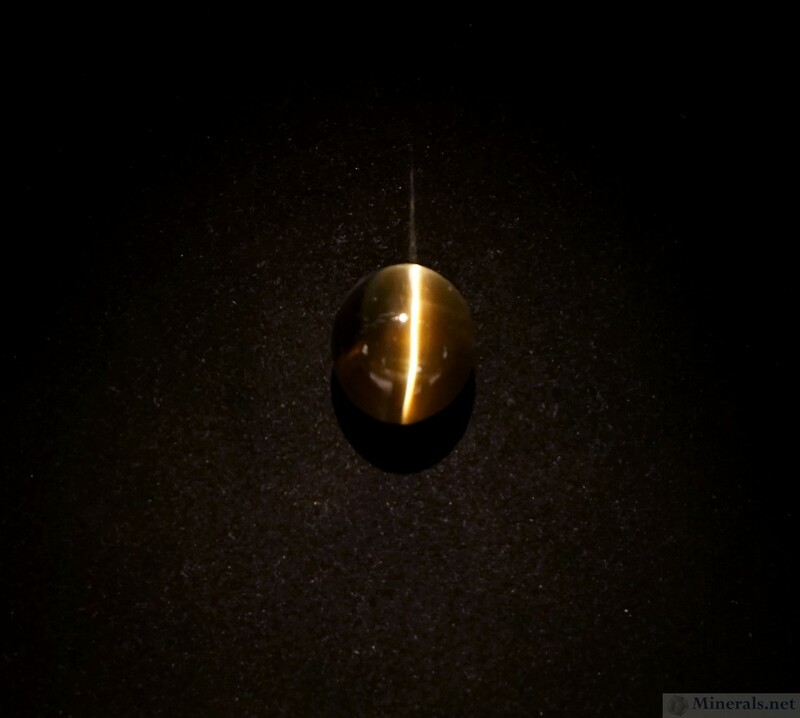 There are many famous gemstones in the collection. 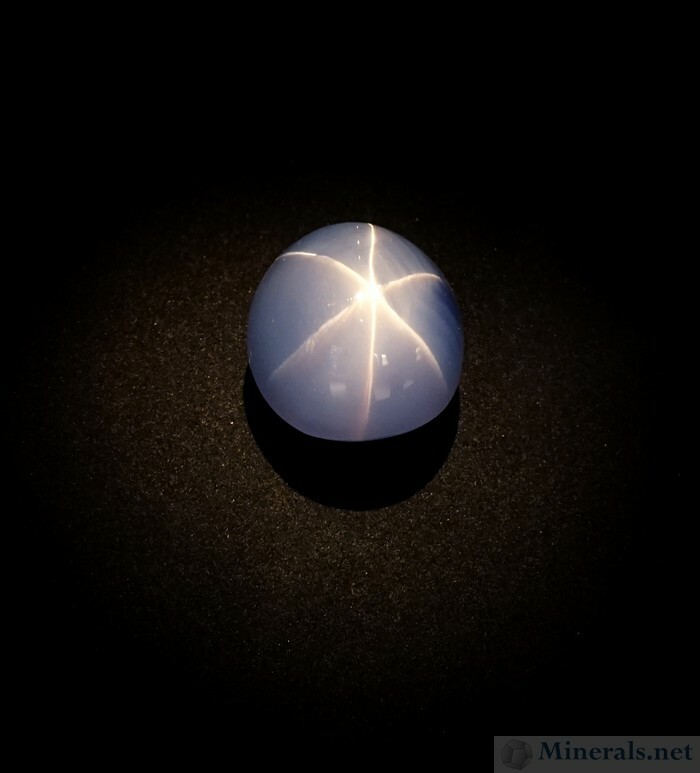 The Star of India, one of the centerpieces of the hall, is a 563 carat Star Sapphire, one of the largest such gems in the world. 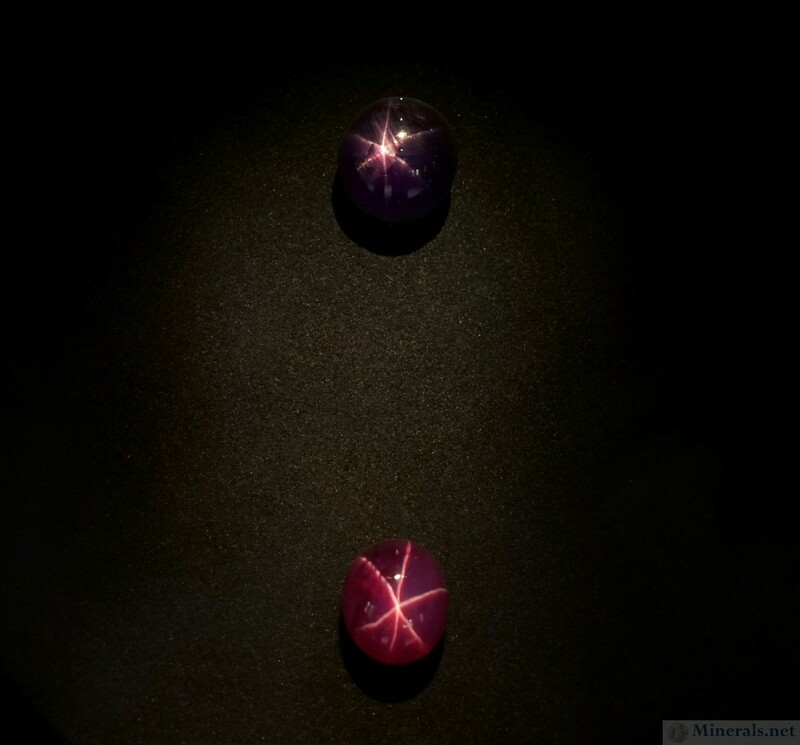 The DeLong Star Ruby is a 100 carat Star Ruby with bright color and strong asterism. 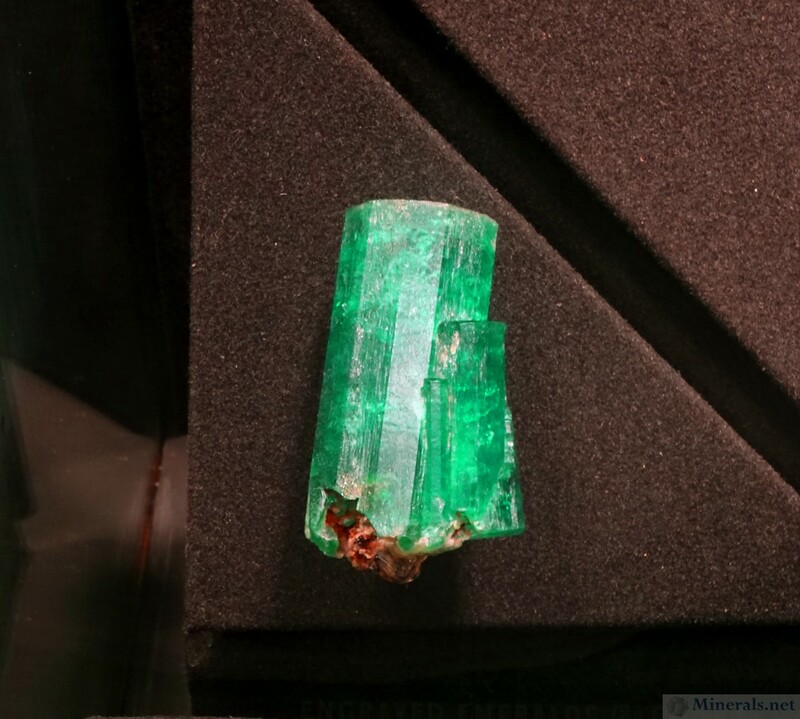 The Patricia Emerald is a very large iconic Colombian Emerald crystal at 632 carats. 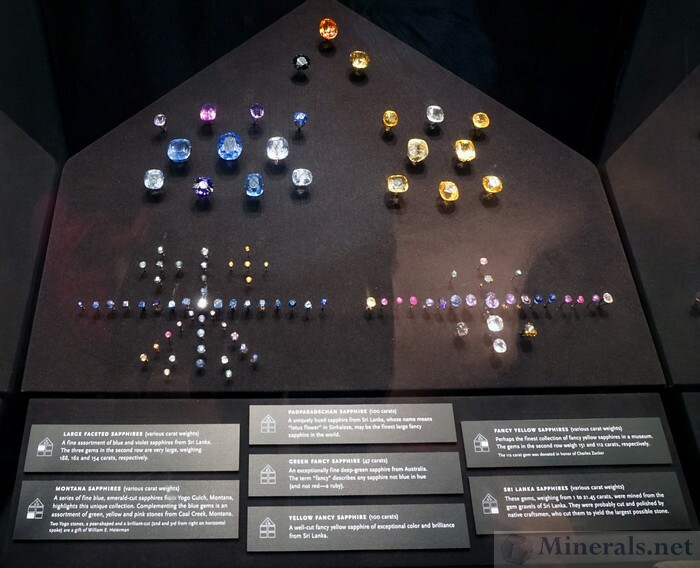 These highlights are but a fraction of the gemstones in the vast collection, with many additional outstanding pieces on display. According to the museum website, the hall of gemstones, which closed in October this year, is scheduled to reopen in the fall of 2019 after extensive renovations, as the Allison and Roberto Mignone Halls of Gems and Minerals. 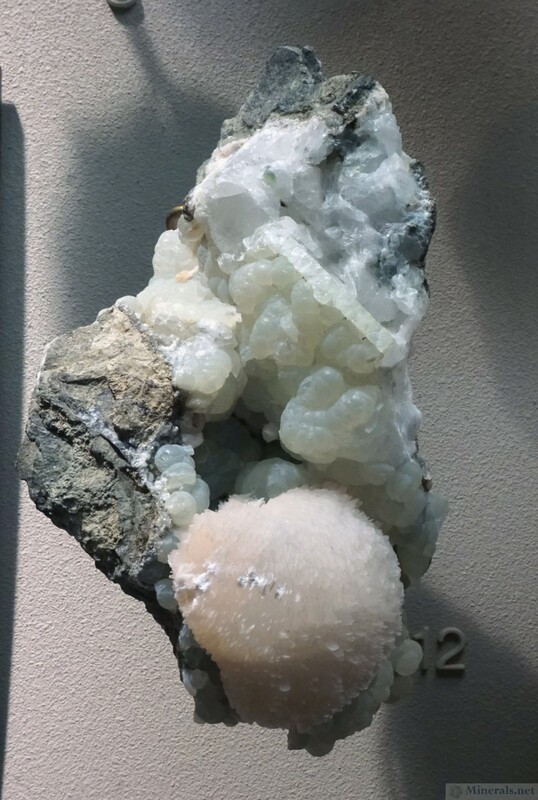 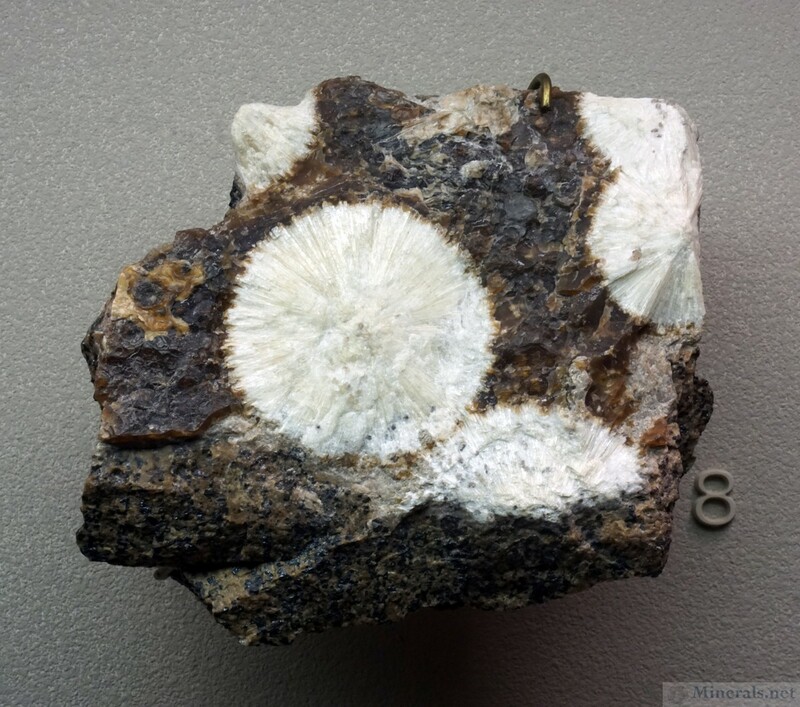 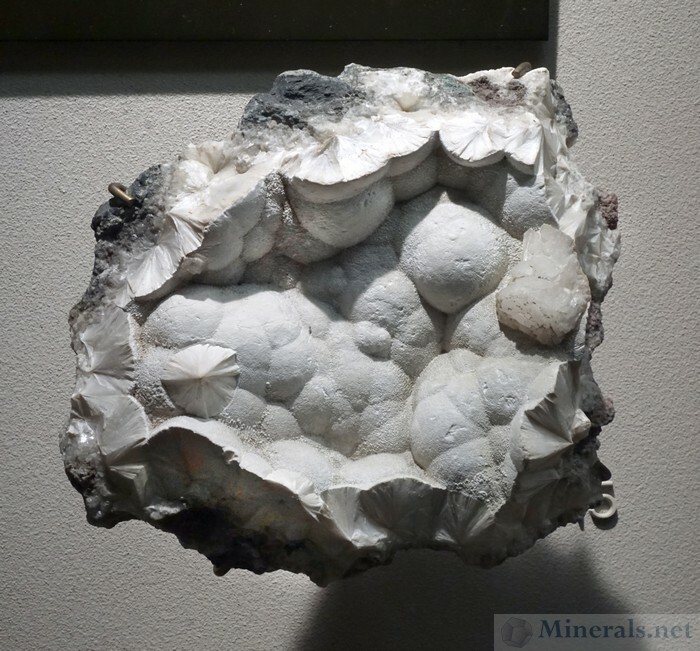 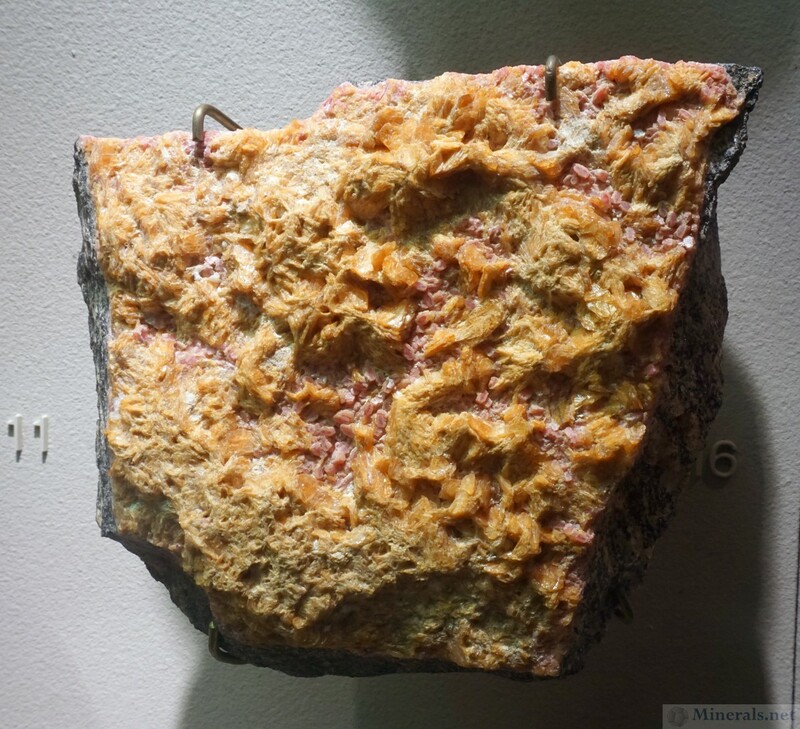 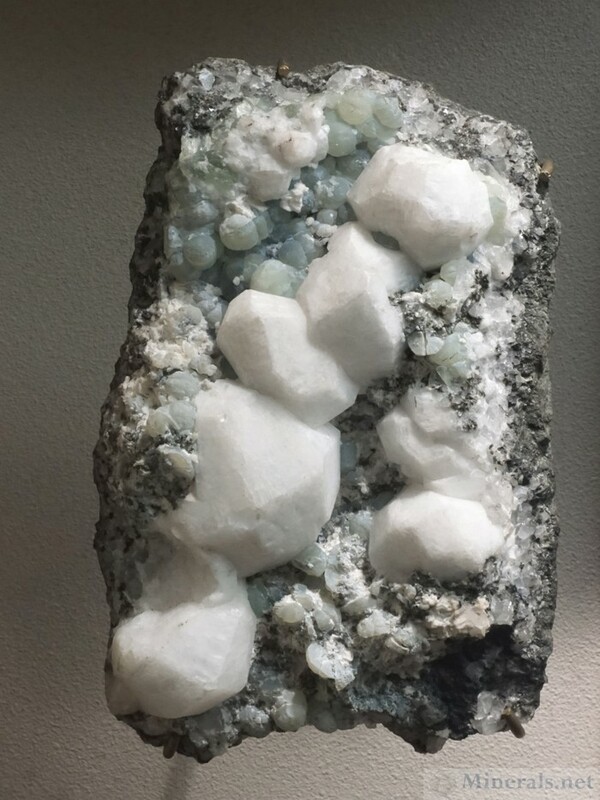 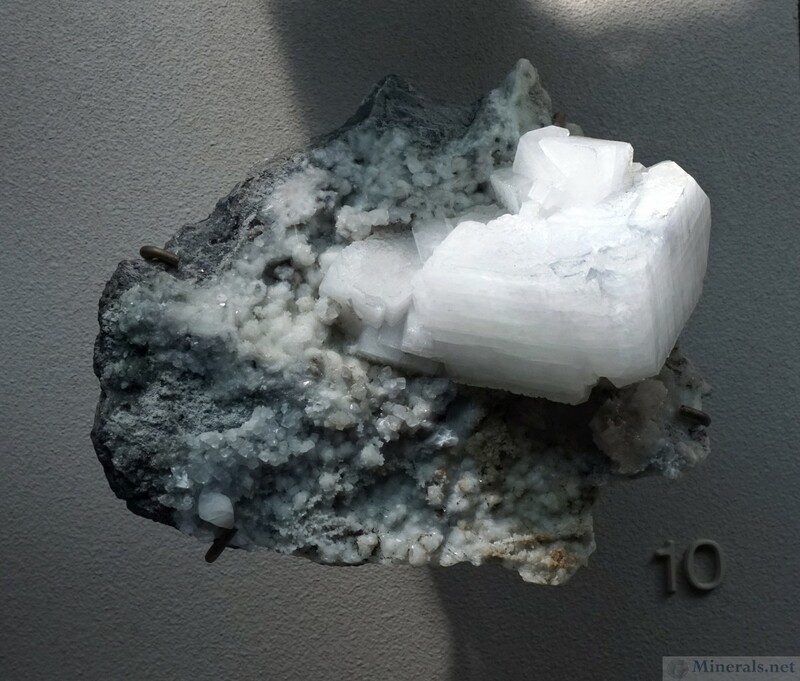 The American Museum of Natural History has some important minerals on display from the nearby volcanic traprock quarries of northeastern New Jersey. 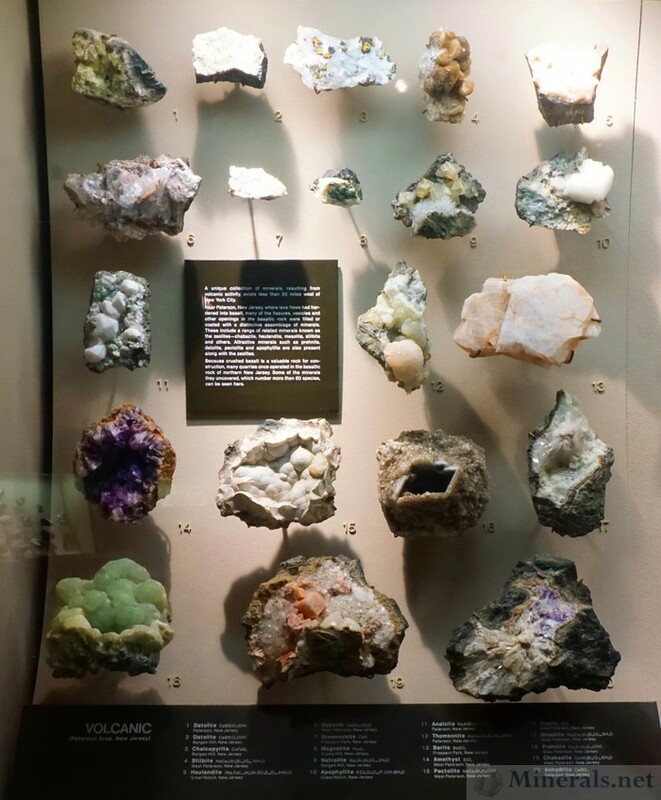 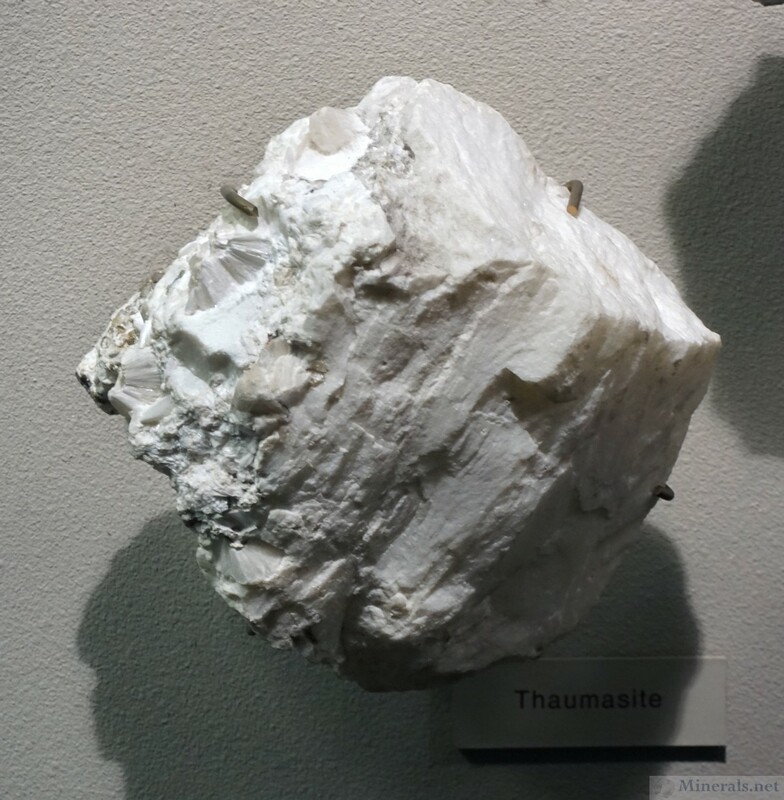 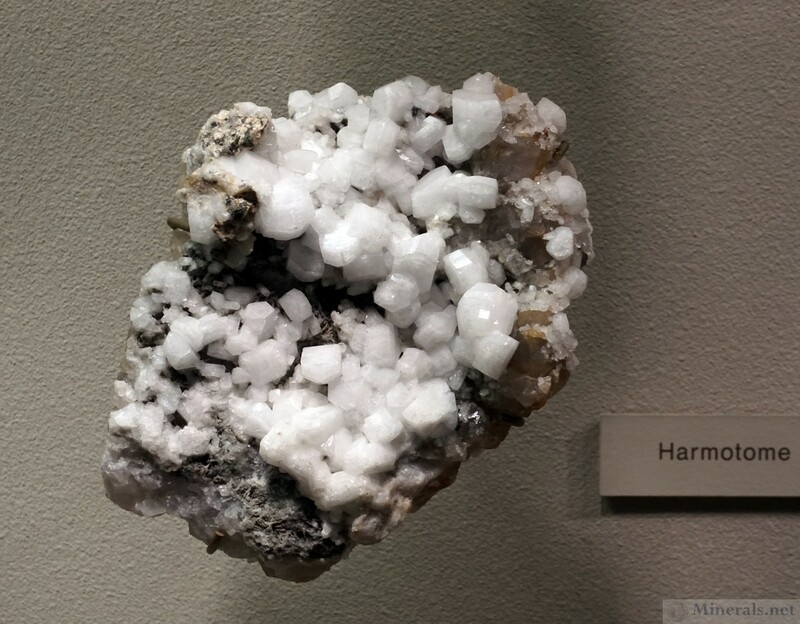 There is an exhibit case dedicated to these minerals, as well as sporadic representation of New Jersey traprock minerals in other cases. 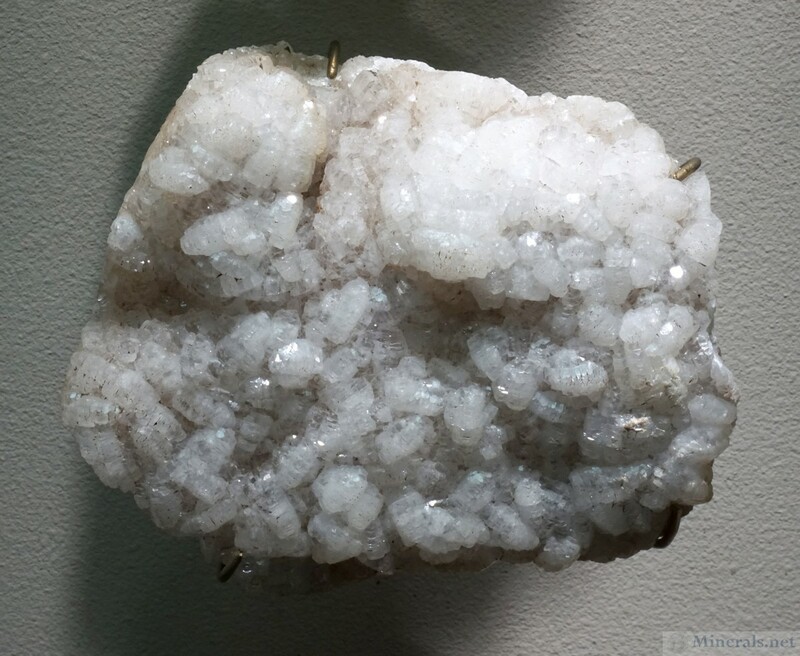 Many of the labels list the locality as "West Paterson," presumably referring to the Upper New Street Quarry, which is in fact in Paterson, and not West Paterson. 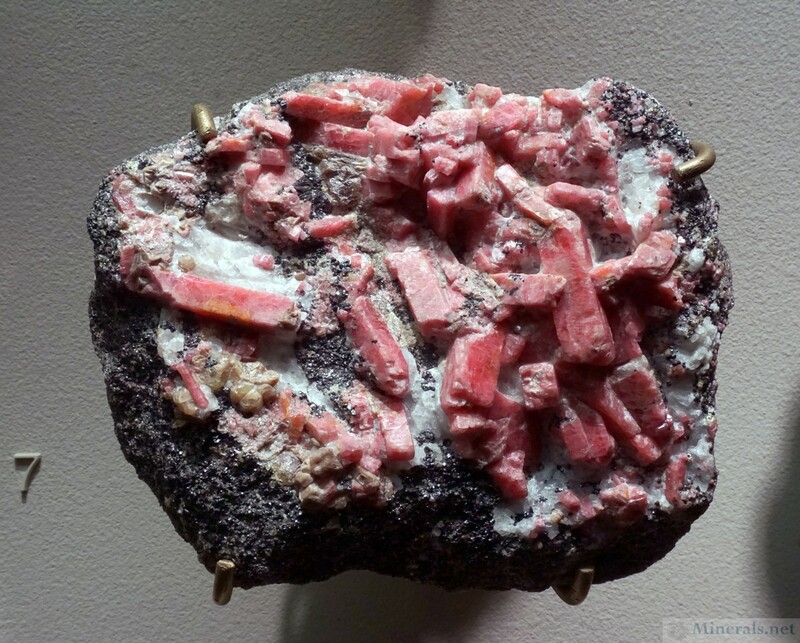 Nevertheless, in our caption, we kept the "West Paterson" designation when used for lack of certainty. 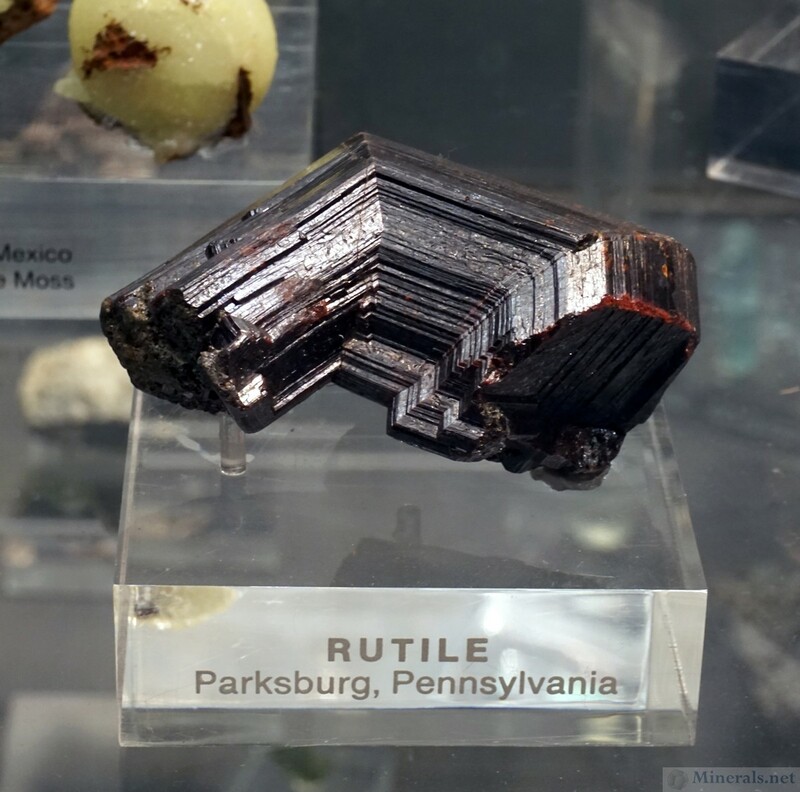 "A unique collection of minerals, resulting from volcanic activity, exists less than 20 miles west of New York City. Near Paterson, New Jersey, where lava flows had hardened into basalt, many of the fissures, vesicles, and other openings in the basaltic rock were filled or coated with a distinct assemblage of minerals. 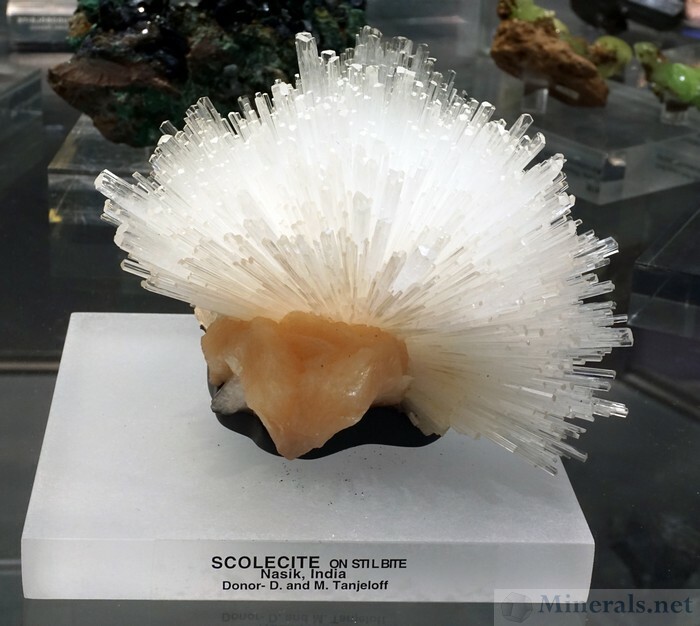 These include a range of related minerals known as the zeolites - Chabazite, Heulandite, Mesolite, Stilbite, and others. 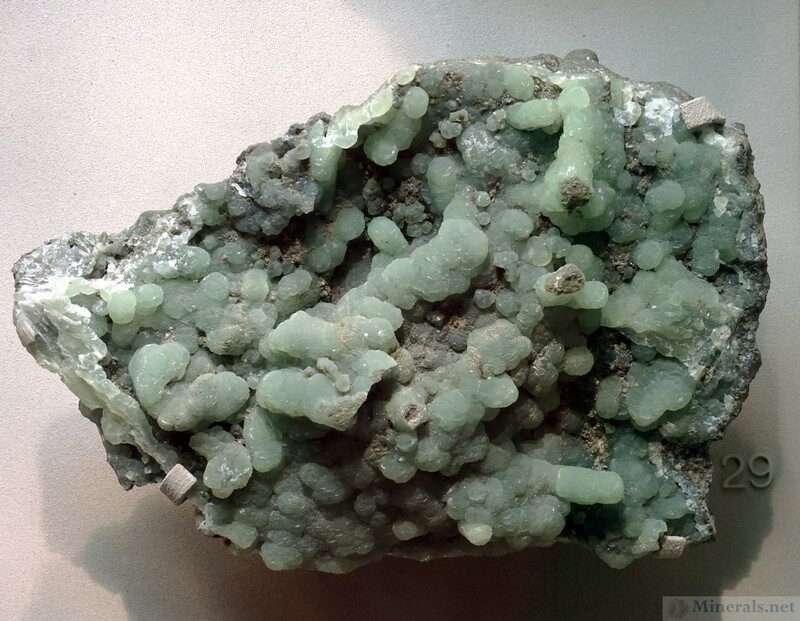 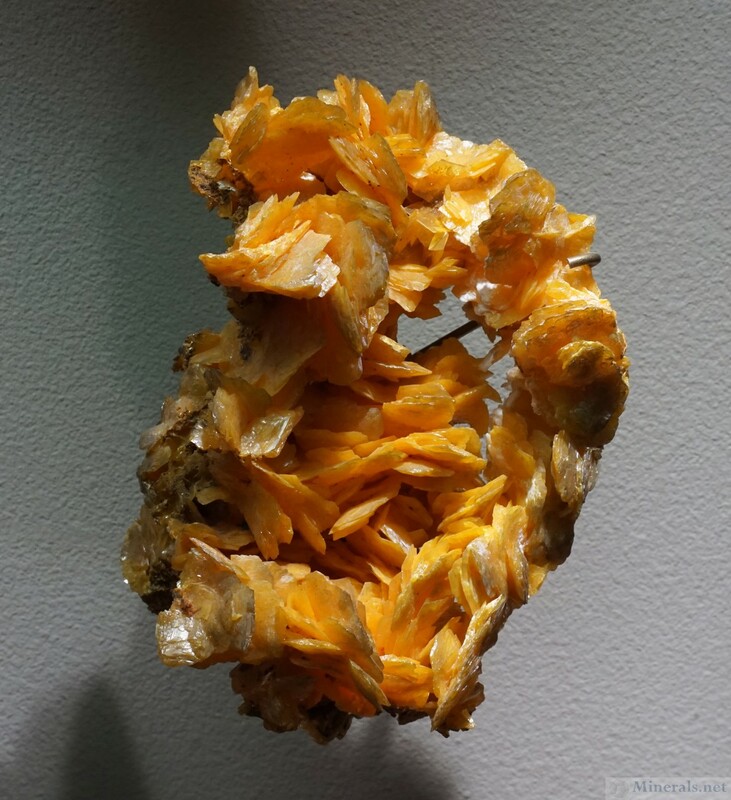 Attractive minerals such as Prehnite, Datolite, Pectolite, and Apophyllite are also present along with the zeolites. 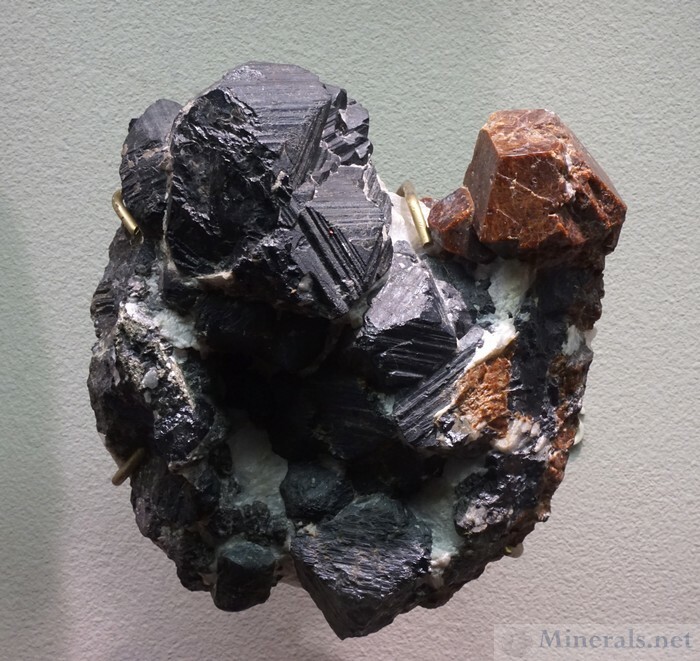 Because crushed basalt is a valuable rock for construction, many quarries once operated in the basaltic rock of northern New Jersey. 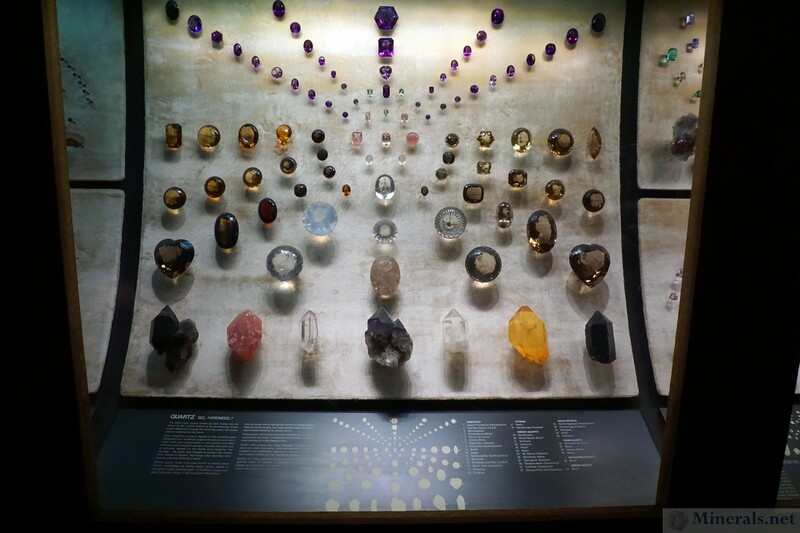 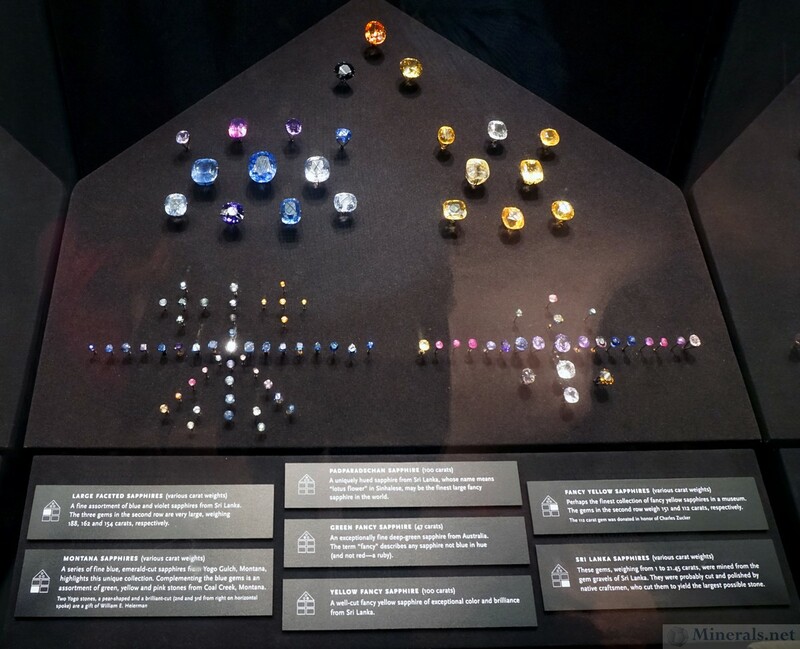 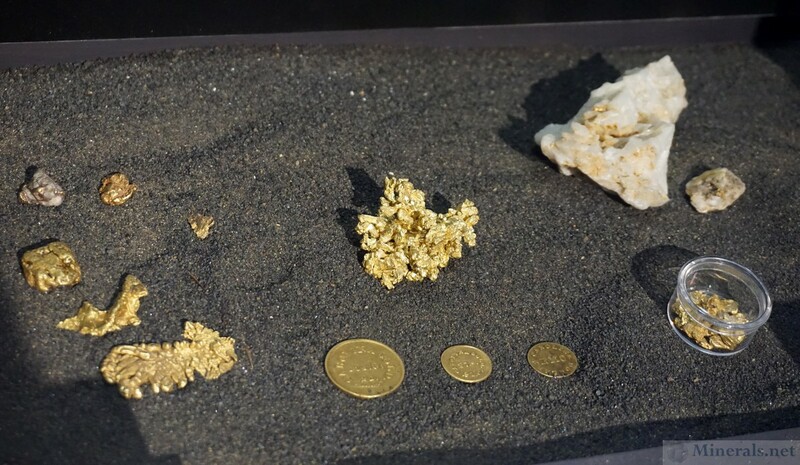 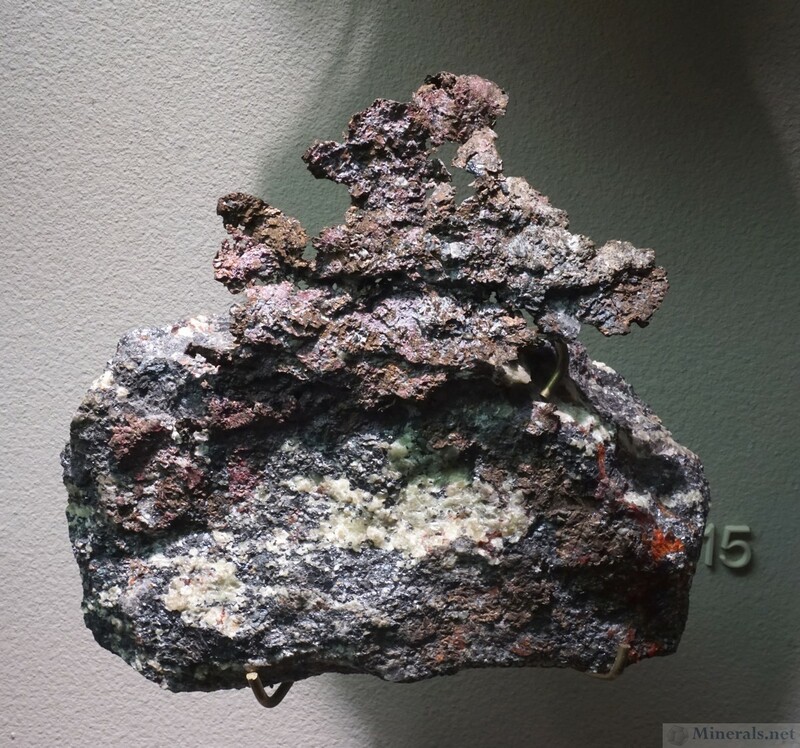 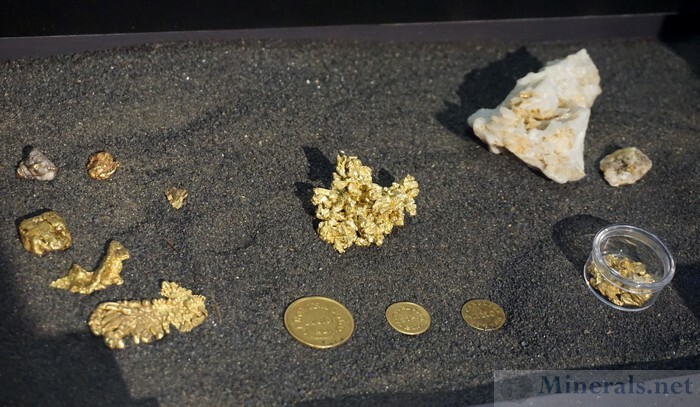 Some of the minerals they uncovered, which number more than 60, can be seen here." 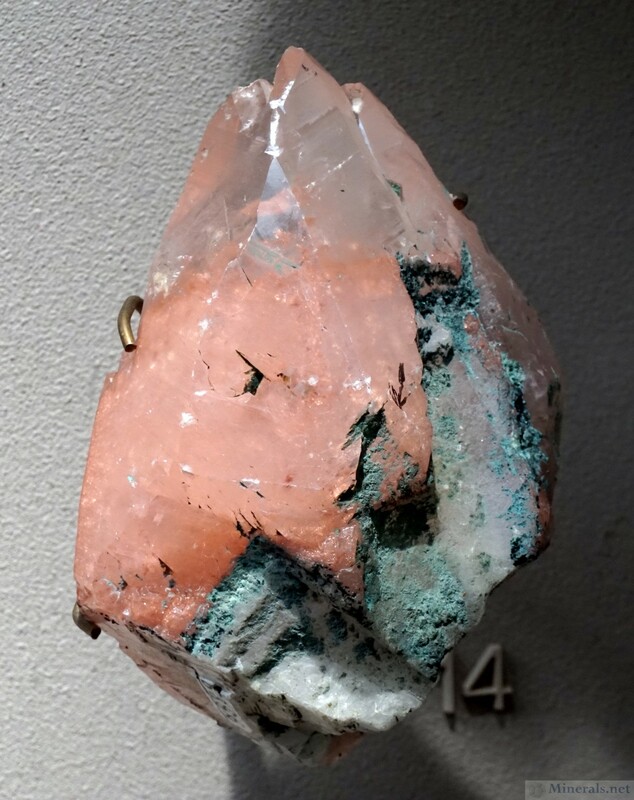 Franklin, New Jersey, is an old mining district that lies about 40 miles northwest of Manhattan. 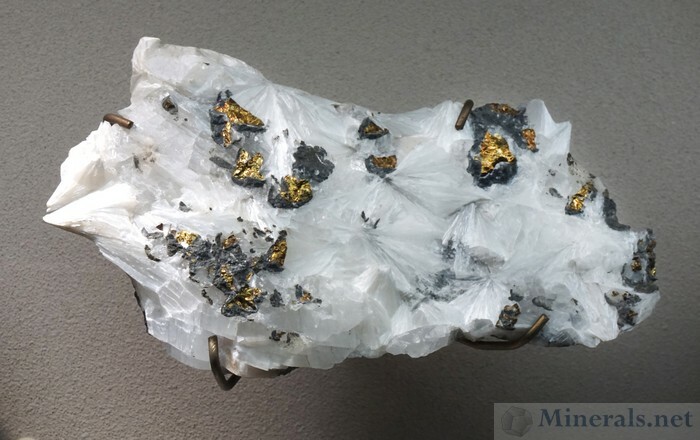 Its fame lies in its rich deposits of zinc, exploited through the 1950's. 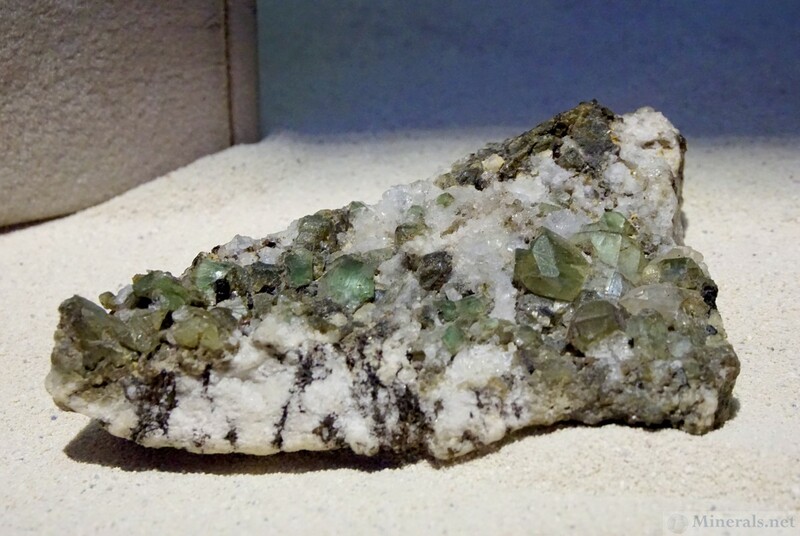 The Franklin Mine is world-famous for being the most proficient source of fluorescent minerals, and is known as the fluorescent capital of the world. 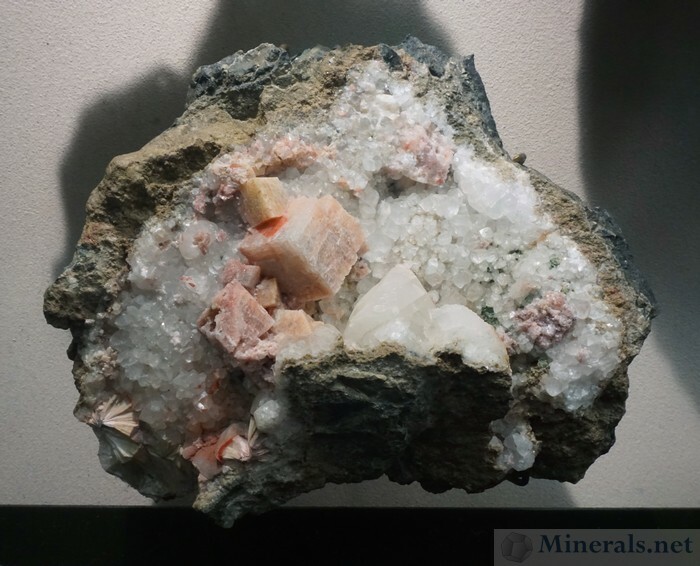 It also has produced over 300 known minerals, one of the largest mineral counts for a single locality. Nearby, in the borough of Ogdensburg, is a continuation of the same ore vein, with the same assemblage of minerals. 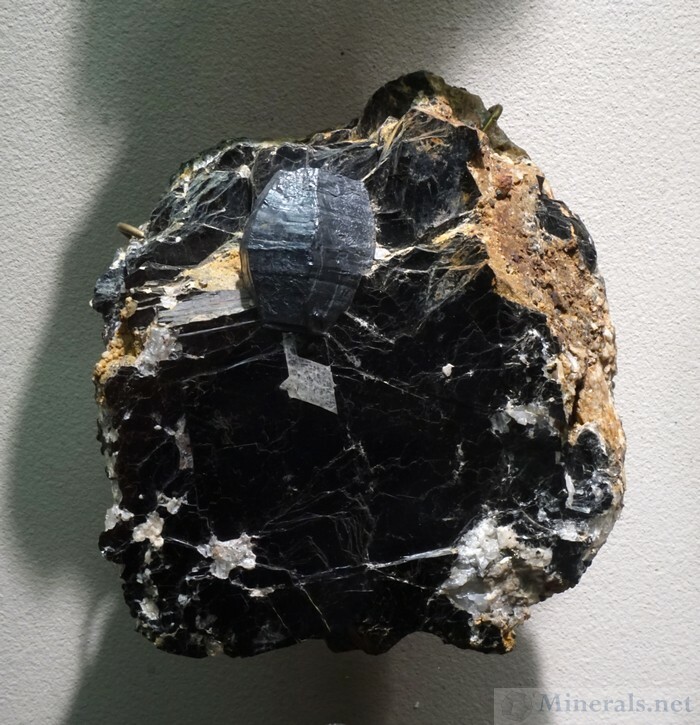 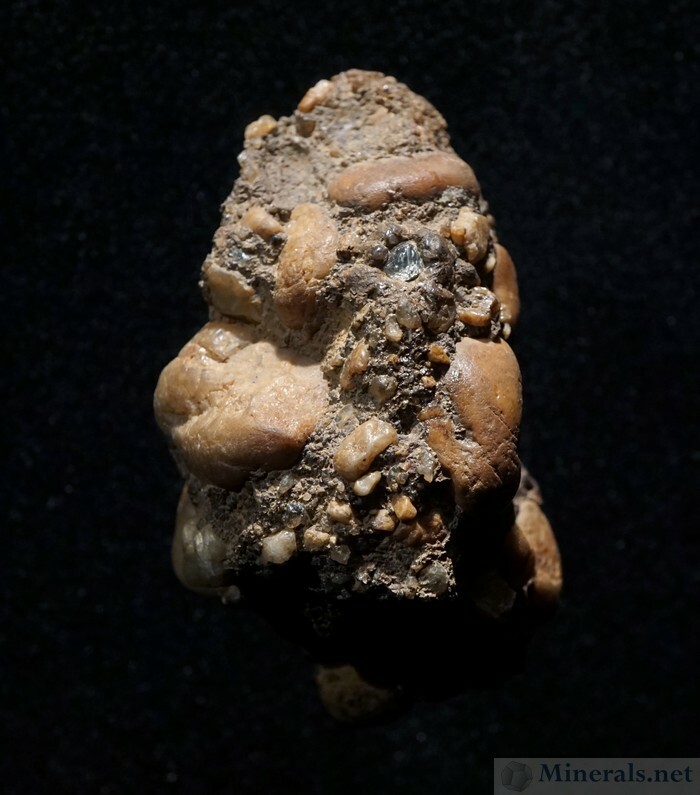 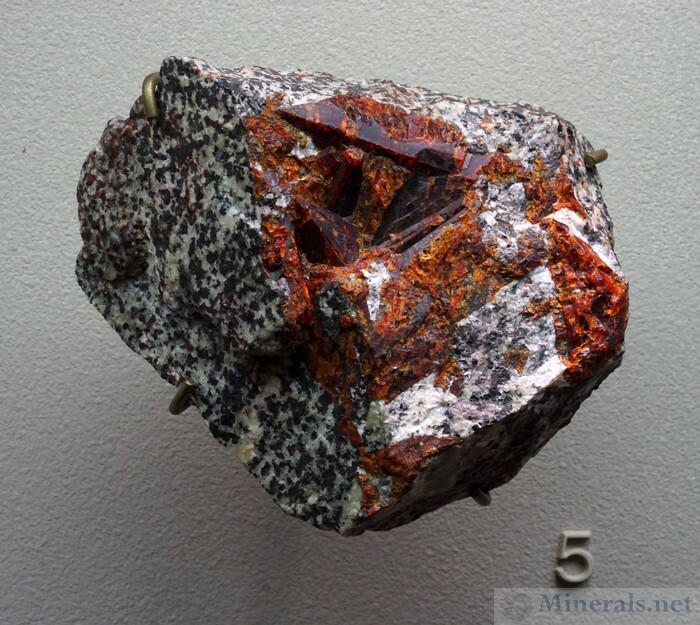 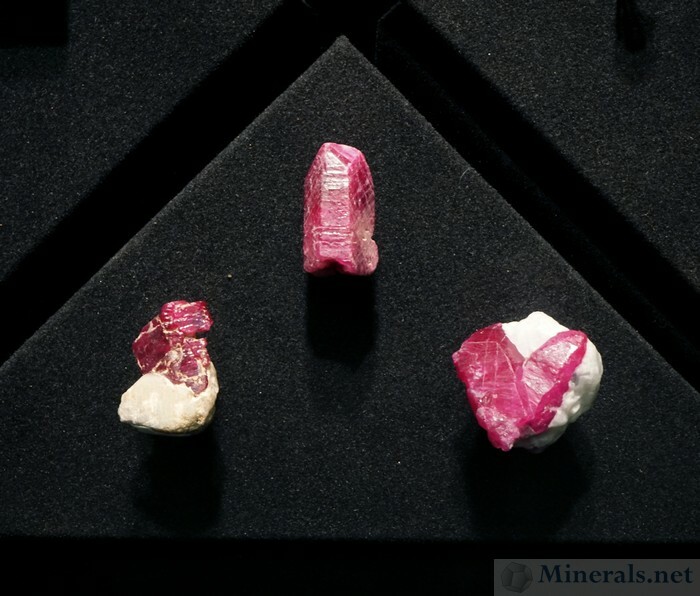 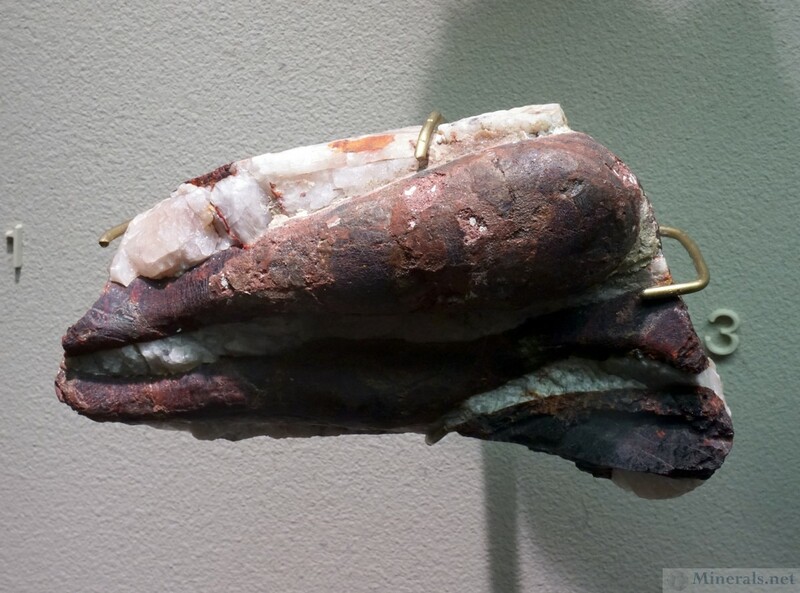 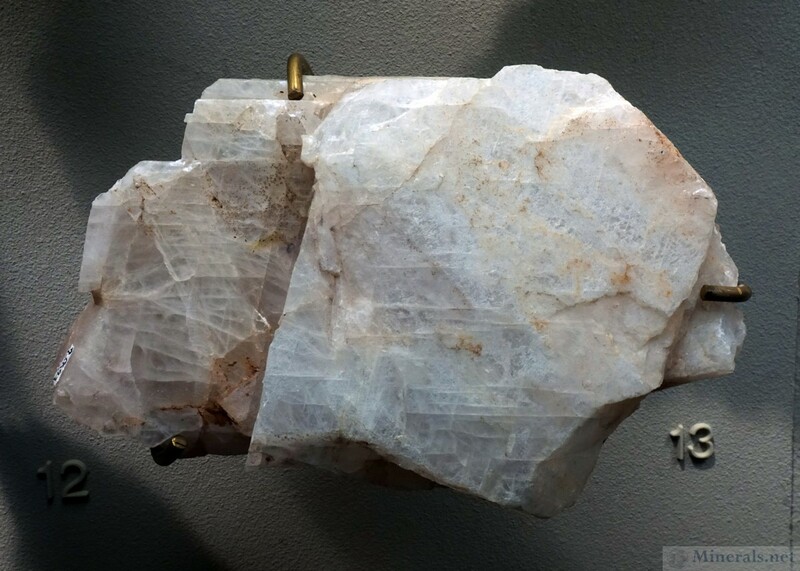 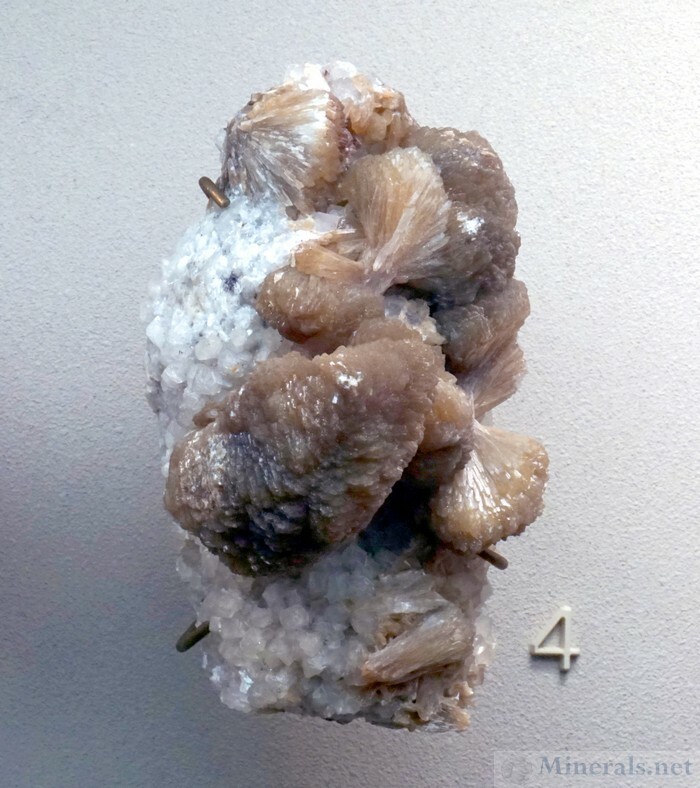 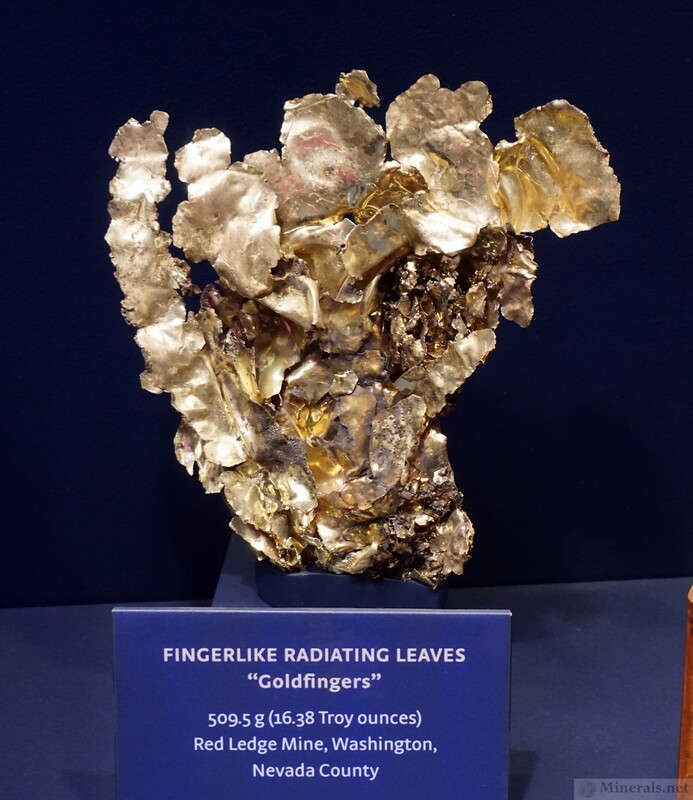 Both Franklin and Ogdensburg have produced very important mineral specimens, with old classics such as Rhodonite and Willemite within the cases of museums throughout the world. 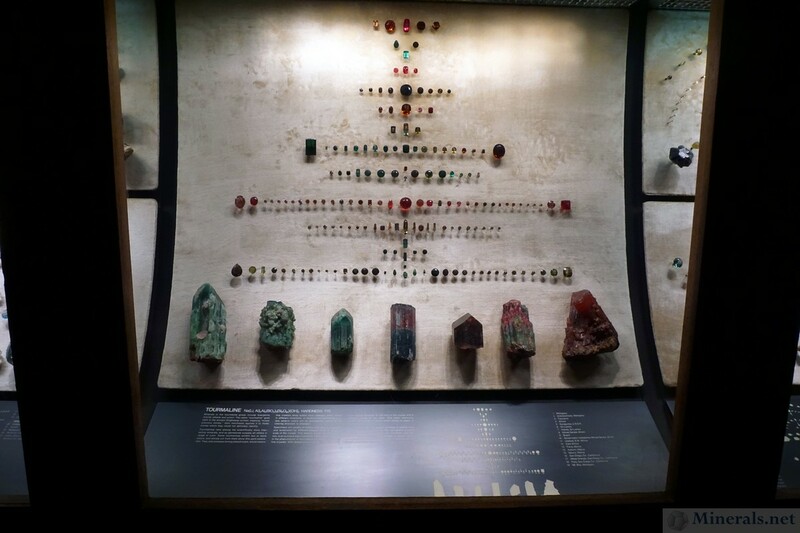 The American Museum of Natural History is no exception, having a special affinity to these locations due to their proximity. Presented below are some of the minerals on display from Franklin and Ogdensburg, New Jersey. 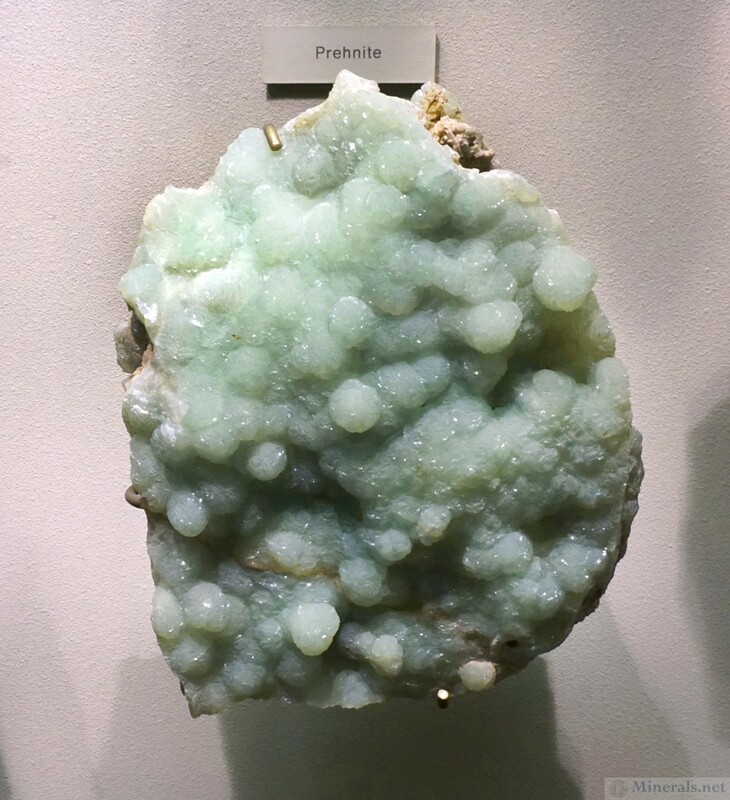 This post concludes our museum report on the American Museum of Natural History. 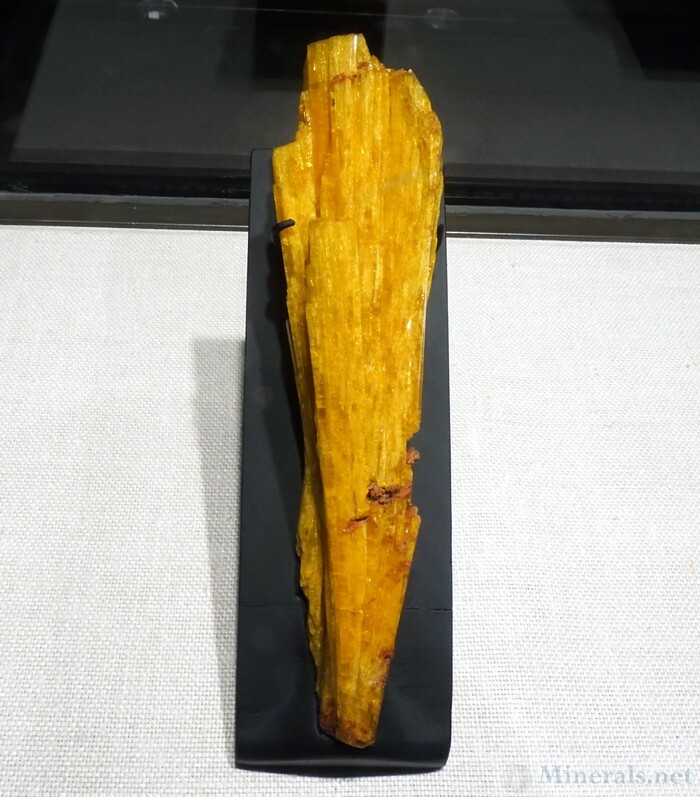 However, visit our Instagram page for additional photos not included on these pages.